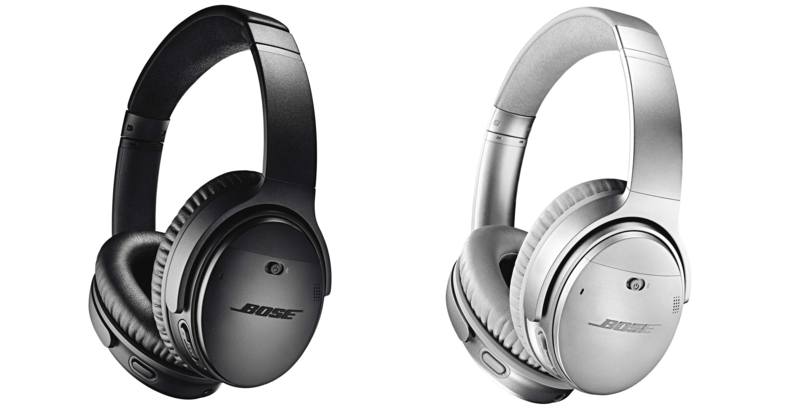 The Bose QuietComfort 35 II headphones are some of the best in the biz. They sound good and the active noise cancellation is top-notch, but the $350 MSRP puts it out of reach for many. Luckily, Rakuten is currently offering them to members for just $264.95, so you may be in luck if you've been waiting for a deal on these. 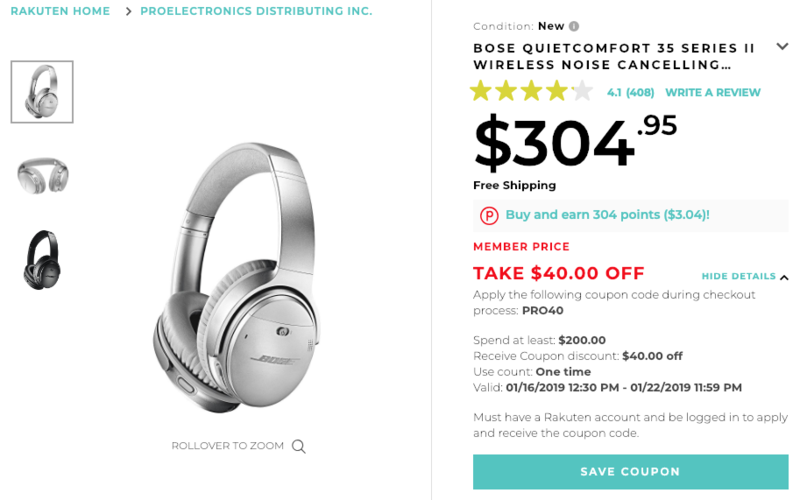 There's a reason these headphones are so popular — the lightweight construction makes them comfortable, the sound and noise cancellation are both excellent, and the battery life, rated at 20 hours, is quite good. These also have Google Assistant integration, which means that you can get access to Google just by pushing a button. Rakuten is currently offering a $40 coupon, bringing merchan ProElectronics' price from $304.95 down to $264.95 with code PRO40 at checkout. You do need to be a Rakuten member to use this, but registering is easy and free. The code can only be used once, and it's valid until January 22nd at 11:59pm. Both black and silver are available. Hit the link below to pick a pair up; they'll probably go pretty quickly.